In our lives, we’re constantly bombarded with electro-magnetic frequencies (EMF.) Clearlight believes that your sauna environment should be a safe haven, free of EMF exposure. As a result, Clearlight was the 1st company to begin shielding saunas from EMF over 8 years ago. We’re currently, the ONLY infrared sauna company in the industry to shield from both EMF and ELF (extremely low electrical frequencies.) In this day and age of excess EMF and ELF exposure, it’s essential for your good health that your sauna be both low EMF and low ELF. 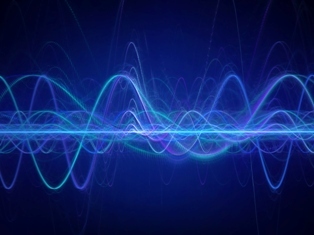 WHAT ARE EMF AND ELF FREQUENCIES? Electromagnetic Fields (EMF) are defined as energy waves with frequencies below 300 hertz or cycles per second. In this day and age, unless we’re living in isolation in a desert or island paradise, we’re exposed to electromagnetic fields on a daily basic from numerous sources including power lines, radar and microwave towers, television and computer screens, microwaves, cell phones, motors, fluorescent lights, electric blankets, household wiring, blow dryers and hundreds of other commonly used electrical devices. Over the past century, levels of electromagnetic fields (EMF) from human-made sources have continued to increase steadily. In the past few decades, EMF exposure and its potential adverse effects have been an important topic of research. In California, the California Public Utilities Commission (CPUC) created the California Electric and Magnetic Fields Program to do additional research and provide education and warnings regarding the possible negative health effects of excessive exposure to EMF. 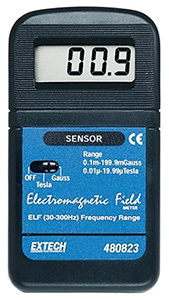 In their California EMF report published in 2002, it was reported that, “To one degree or another, all three of the DHS scientists are inclined to believe that EMFs can cause some degree of increased risk of childhood leukemia, adult brain cancer, Lou Gehrig’s Disease, and miscarriage.” The report went on to recommend EMF levels below 3mg as being safe. Electro-magnetic fields are energy frequencies below 300 hertz or cycles, per second. The best EMF is no EMF. For this reason, Clearlight took on the challenge of eliminating EMF exposure from each Clearlight sauna. Pioneers in this area, when no other sauna company was even interested in EMF levels, Clearlight now has patent pending infrared heaters with EMF levels substantially below the Environmental Protection Agency’s recommended level of no more than 3 milligauss EMF. Now, after many years of research and development, we have successfully brought the EMF exposure to almost zero. 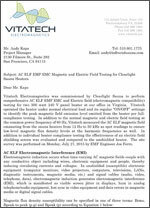 Below, you can see the results of the EMF testing of our saunas performed by a 3rd party independent laboratory, VitaTech Electromagnetics. The ultra low readings that you see were taken with their measuring device directly touching the infrared heaters. When sitting in a Clearlight sauna, the body is 1 to 2 inches away from the heating elements and at this point, there is virtually no EMF exposure at all. ELF (extremely low frequency) are the electric fields at the low side of the electromagnetic spectrum with frequencies from 3 to 30 hertz. Like EMF, ELF is also emitted by utility power lines and electric appliances. Some people with environmental sensitivities find their sleep and energy levels affected when exposed to excessive ELF. The recommended Threshold or Concern for ELF levels is 1,000 millivolts (mV). For comparison, when an individual goes out in nature, far away from any electric appliances or power lines, the recorded measurement of the body’s natural voltage level (known as body voltage strength) is near zero millivolts. All Clearlight Saunas have ELF shielding bringing the ELF exposure to the range of 200 millivolts. This is 5 times below the Threshold of Concern. A common range of ELF for infrared saunas, other than Clearlight Saunas, is a level exceeding 20,000 millivolts, 20 times above the Threshold of Concern. Clearlight utilizes a number of different strategies to reduce the EMF and ELF exposure in each sauna. In addition to doubling up on all the carbon-ceramic heaters in a back-to-back position, thereby canceling out the EMF radiating from the heaters, Clearlight is one of the few sauna companies to take the extra steps to run the electrical wiring through metal conduit. 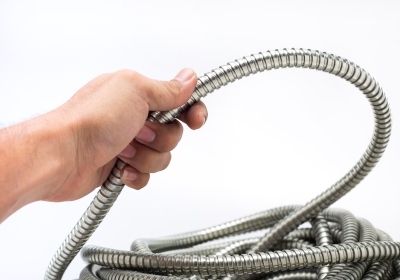 Another method we employ to further reduce the ELF and EMF exposure, is to twist the electrical wires. Together, all these individual strategies create a very clean, low EMF and low ELF environment. Independent laboratory testing found the ELF levels of Clearlight Sauna to be very low. When testing the sauna, the Threshold of Concern was 10 Volts/Meter (V/m) which is the same as 1,000 millivolts (mV). In the tests that were performed, Clearlight Infrared Saunas® averaged 3.4 V/m. When we tested the saunas of several of our competitors, the measurement was 300+ V/m, substantially over the Threshold of Concern. When testing saunas other than Clearlight’s, EMF and ELF levels will range from the medium range to being shockingly high. It’s not uncommon for EMF levels radiating from carbon heaters to be over of 100 milligauss EMF. Because EMF can’t be seen and most people can’t feel it, these high levels go completely undetected. Here’s a chart that shows the wide range of levels we’ve seen in our competitor’s saunas. Do your due diligence, ask the right questions and test for yourself. ARE EMF AND ELF HARMFUL TO THE HUMAN BODY? Dr. David Carpenter, Dean at the School of Public Health, State University of New York reported that it’s likely that up to 30% of all childhood cancers come from excessive exposure to EMFs. The Environmental Protection Agency (EPA) has warned, “There is reason for concern” and advises avoidance when possible. The following links offer more information about the potential effects of EMF and ELF exposure.